Several billion generations ago our great, great, great… ancestor was also the common ancestor of trees. We share the same DNA (although no-one yet knows how much). And around 3.8 billion years ago we shared a common ancestor with all living things. Furthermore, every one of the lifeforms that exist today, and have ever existed, is unique. It’s a mind boggling mass of complexity. Over those generations we lost the knowledge that we are all related, until Charles Darwin published On the Origin of Species. His theories were then confirmed by the discovery of the double helix structure of DNA in the 1950s. 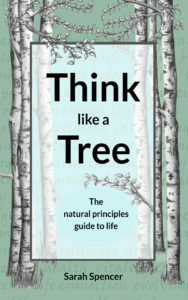 But by that time, we were very much rooted in the idea that humans are separate from the natural world, and this was compounded by religious and philosophical teachings going back millennia that sought to promote a world view where humans were at the centre of the universe, with all other living things relegated to bit-parts. We even lost sight of the fact that everything that sustains us originates as a plant. Plants convert the sun’s energy into nutrients, and we eat those nutrients, or we eat animals or fungi that eat plants. So it’s probably not a bad idea to get to know the hand that feeds us in a bit more detail. And yet surprisingly little is known about trees. For example did you know that they can smell, taste, feel and possibly hear? 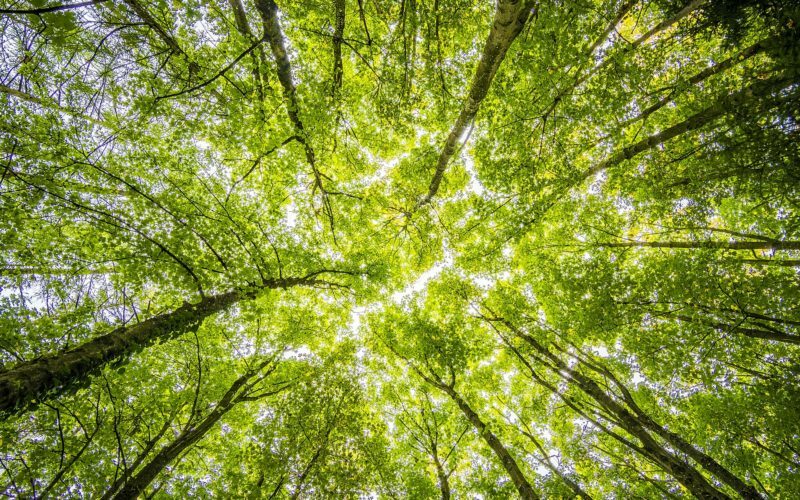 All this is only just being discovered by brilliant scientists, who are willing to risk the “tree-hugger”, “wacko” labels given to anyone who dares to suggest that trees are more than just carbon-dioxide synthesising timber. Humans have evolved, of course. Around 10,000 years ago we eschewed the hunter-gatherer lifestyle and settled down in agricultural communities. Gradually over time we became more and more separated from total immersion in nature, and in the past few decades we have been able to live a life almost totally divorced from the natural world, if we so choose. Nature is untidy, something to be tamed and controlled, cut down with chainsaws and chemicals, so that now the vast majority of the world’s biomass is under human control. But of course indigenous tribes around the world are still intimately connected with their surroundings. They have knowledge that goes far beyond what we could ever experience and they live in natural (but largely disappearing) surroundings where living things can still, to a large extent, demonstrate their biological abundance. So we’ve lost nature’s wisdom and replaced it with a type of common sense that says that diversity is a threat not a benefit; that speed is of the essence rather than knowing the advantages of taking it slow; and that competition is better than nature’s solution, which is to find co-operative relationships wherever it can. There are basic rules that are common to all living things. These rules have stood the huge complexity of life in good stead for 3.8 billion years. They apply to, trees, fungi, insects, mammals, reptiles and all other types of animal, plant and organism. But humans have stopped living by the rules. We ripped up the rule book long ago and replaced it with something that suited a few humans at the expense of all other living things. It creates runaway cycles that threaten the balance that nature dances each day to keep life flourishing, adapting and evolving within a (surprisingly limited) set of parameters that make our planet unique in so far as we know it.